A sad incident happened a couple of days back when a young man committed suicide from Centaurus Mall fourth floor in Islamabad. The boy named Ammar passed away at Pakistan Institute of Medical Sciences in Islamabad. A girl named Tehreem Tahir shared a post on Facebook disclosing the real reason behind Ammar’s suicide. 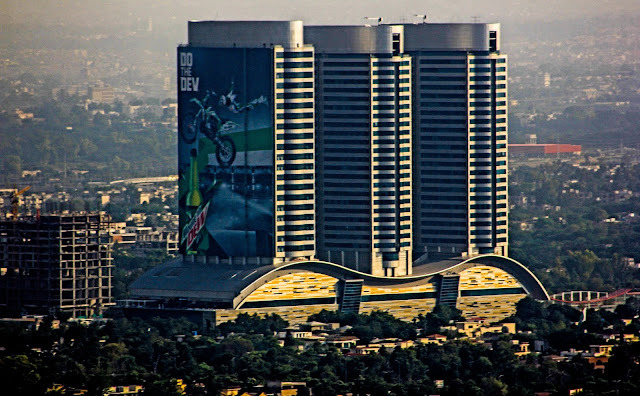 The story behind the centaurus incident. This post isn't to blame anyone, it's an awareness post. In reference to my last post about the accident in centaurus there were so many different stories on how this happened. I talked to his neighbour and teacher to find out the real story. Ammar was in centaurus with his sister, brother and a family friend. He was going through a very tough time from the past 1-1.5 years, presently he was going through a treatment aswell. Before that he acted in a way that the family thought he was under an influence of jin. In this time period he tried committing suicide twice. One of the reasons why he was like this was that he was bullied at the college people made fun of his voice as he had a thin voice called him 'kalay'. He was a science student as his mother wished , but he wanted to go in arts as it was difficult for him. He changed many schools but it didn't help. Mental illness is as serious as physical illness and its time we understand that. We are moving towards a time where the family structure is getting weak, with the new technology in hand we are connected to so many people yet we are alone and isolated. It is said that the best therapy is a deep honest conversation. Everyone needs someone in his/her life with whom they can share every tiny bit. As you can see in the footage without thinking twice he just runs towards the escalator, puts his feet on the other side and jumps and then people are saying suicide is haram and what has he done to his parents just think for once imagine what battle he was fighting which made him take this painful step of jumping from the 4th floor. In the end I would like to say that.Be there for everyone around you, it's time you understand what bullying can do to someone. You don't know what battles they are fighting inside, if someone ever talks about suicide take it seriously and help them seek a psychologist as there is nothing wrong in seeing one. If a normal person can go to a doctor for physical illness he can go to a psychologist for mental illness. Every single human being has a great role in this world, we are here not to live in isolation but with the people around us. Make honest conversations and help people by literally just listening to what they feel. It will help them a lot I swear. Boys have the same emotions as girls lets just stop telling them to man up and not cry they have emotions they also feel weak. In our society just to man up they keep everything inside as they don't want to be made fun of which builds frustration inside and it grows. The percentage of men getting a heart attack is higher than women and it's for a reason. Let them cry, talk about what making them upset even just listening will help. And sorry for the last post, heard so many different stories even when I was standing there but its all clear now after talking to the boys teacher and neighbour.